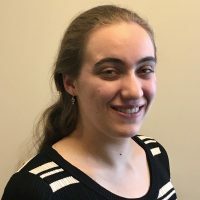 Ms. Emily Downs is a Development Intern at AICGS for the Spring of 2019. As an intern, Ms. Downs assists with the Institute’s fundraising initiatives, manages the outreach database, contributes to the AICGS website, provides research assistance, and supports event organization and coordination. She is pursuing a bachelor’s degree in International Studies and German at Hope College, Holland, MI, and is scheduled to graduate in May 2019. Before coming to AICGS, she spent five months studying in Freiburg, Germany in 2018. Ms. Downs is interested in German-American relations, European Union politics, secularization, and European integration.